GABA is excited to introduce Jens Horstmann as our new Chairman. Jens has 30 years of executive, technology and engineering experience in Silicon Valley and global High Tech industries. Jens is the Founding Director at Crestlight Venture Fund, he has served as VP of Entertainment Technology of NCR Corp. and advises other Fortune 500 companies. Jens has been a great supporter of GABA for the past few years and is looking forward to adding his perspective and skill set towards growing GABA. 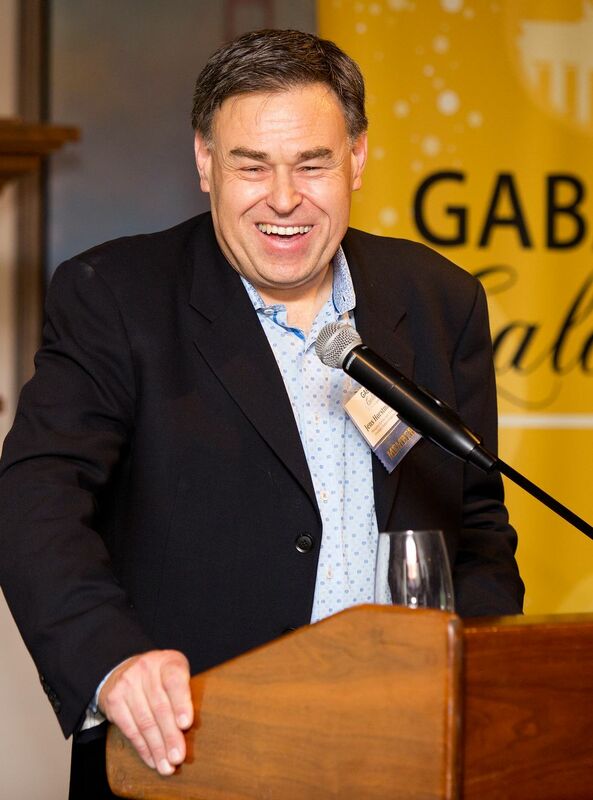 We also would like to thank Daniel Zimmer, who continues to be GABA's Vice Chairman, for his time as GABA's Chairman! This event is a collaboration of the European Chambers and Business Associations in San Francisco. Five entrepreneurs from some of Europe?s most interesting startups will take the stage for a five-minute pitch, followed by a three-minute Q&A round. This event is very popular and always sells out so please be sure to get your tickets today. We have limited seats available and the tickets are first come, first serve. There is not going to be any tickets for sale at the door. Register here. GABA and the Automotive Interest Group would like to invite you for an evening to hear from a panel of Mobility and Automotive Experts who will share insights and discuss current developments and future trends. Don't miss this chance to mingle with business professionals from diverse European countries! Get your ticket soon since this event may sell out! Come mingle and network in the casual environment of the GABA supported Stammtisch meetings, no registration needed, feel free to attend. We welcome you to another fun GABA business mixer at the Shangri-La Hotel! Overlooking the Pacific since 1939, Hotel Shangri-La is a dramatic beacon of Art Deco beauty, Hollywood allure, and Los Angeles history. Meet us inside the Onyx Rooftop Lounge to expand your business contacts and make new friends! We hope to see you there! Join GABA for our monthly Stammtisch at Mezé Greek Fusion San Diego! Enjoy the taste of finely crafted Greek cuisine with a southern California twist. 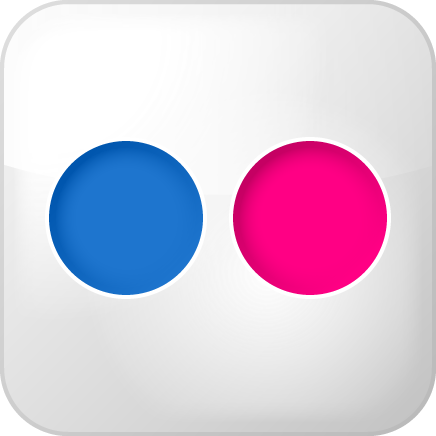 Make new friends and expand your business contacts. We hope to see you there! Join GABA for the screening of the Annual German Spotlight Movie at the prestigious Newport Beach Film Festival (NBFF), followed by an exclusive European Showcase After-Party at TIME Nightclub right next to the movie theatre. Apply now for the ENERGY EFFICIENCY AWARDS and showcase your technology in front of industry specialists and potential customers. The GACC West Energy Efficiency Awards recognize outstanding achievements of German companies in the field of building performance in the US. A prestigious jury of experts from leading companies, associations and research organizations will review applications and select five finalists based on innovative characteristics and achieved energy savings. The GUILD is launching a pilot program that connects female entrepreneurs with investors 1:1 for advice, fundraising questions and the potential to invest. Female founders get warm introductions to angels and VCs to connect for 4 x 30 min video calls for advice and a chance to pitch. Please check out https://www.letsguild.com/investor-entrepreneur for more information, application deadline April 5th. 11 bilateral European-American business organizations in the Bay Area cordially invite their members & friends to celebrate Europe Day 2019 on May 9. Mix and mingle with the European business community while enjoying beautiful sunset views of the Bay over a glass of champagne and delicious appetizers. DJ Champagne will provide the musical setting for this unforgettable European-American evening. Early-Bird tickets only available until April 15th! More info here. 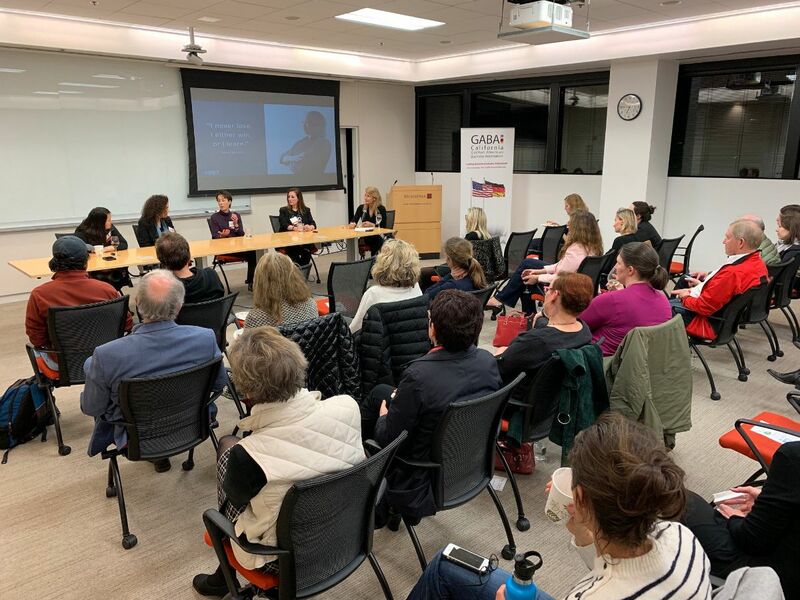 GABA's Women in Business Group "Channeling your Inner Confidence" took place at WilmerHale on March 7th. They hosted a stimulating and inspiring panel discussion with female leaders of various industries who were happy to share their stories as well as pivotal and defining moments in their careers and the wisdom and insights they received from supporters who contributed to paving their path to the top. We are privileged to announce the upcoming Innovation Hub in the heart of SoMa, SF. Looking for space and to be part of the most vibrant community? Expect a curated, Engineer-Focused Startup-Hub with a variety of perks & niche events. Apply here. We are looking for teachers for several Saturday Schools in the Los Angeles area. The lessons are on Saturdays from 9am to 12pm. Applicants should be able to teach in German and teach them independently and creatively. Requirements: German, experience with teaching children, reliable, possess a work permit to work legally in the US. Please apply here. Kärcher is a leading provider of cleaning technology. From high pressure washers, vacuum and steam cleaners for consumer to sweepers, car wash and electronic data transmission based fleet management for professionals, Kärcher offers wide portfolio of innovative solutions. See here for more info. Ulrich Grossenbacher and Damaris Lüthi, Switzerland 2006, 93 min. Forever in India explores the interface of tourism and migration in India, a booming destination for many European hippies since the 1960s. The film shows the many facets of migration and portrays the journey of six European hippies who decided to stay in India.